(1950, United Kingdom) Singer-songwriter, musician, poet, performance, and visual artist. 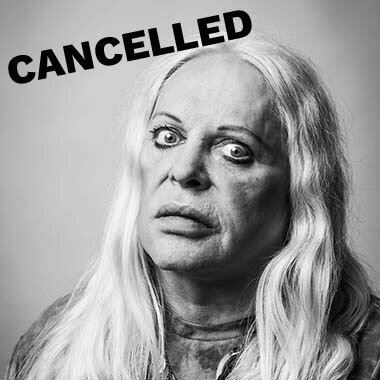 P-Orridge rose to notability as founder of the COUM Transmissions art collective, which operated in Britain from 1969 to 1976. P-Orridge fronted the pioneering industrial band Throbbing Gristle between 1975 and 1981 and the experimental multimedia commonage Psychic TV from 1981 to the present day. In 1996 he created the Pandrogyne Project with his wife, Lady Jaye. His many collaborators include Aaron Dilloway, Tony Conrad and William S. Burroughs. His visual works have been exhibited in hundreds of exhibitions across the world over the past 46 years, recently culminating in retrospectives at the Andy Wahrol Museum and the Rubin Museum of Art.